Welcome to the first lesson on jQuery for absolute beginners. 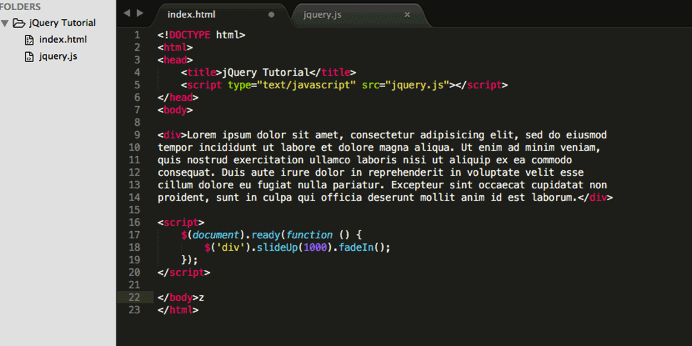 We will be covering the basics of jQuery for web development in the coming months to get you up to speed. jQuery is used in over 62% of all websites. Now let’s quickly test that this is working. You will be directed to a new page. 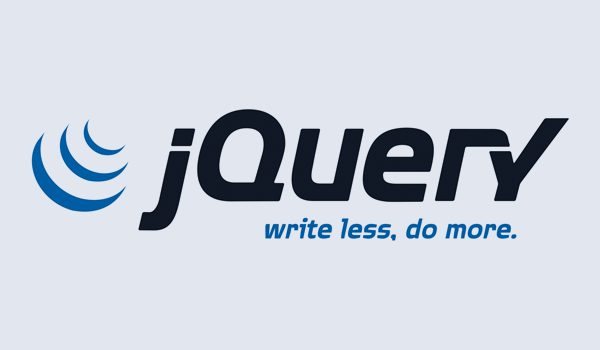 Here you will see different versions and methods of adding jQuery to your project. For now we will skip all the details about compressed, uncompressed, CDN and all that and click on the very first link to download jQuery. You can read up the information on the page if you like. But we will come back to that later. You will be greeted with this alien-looking screen. Have no fear! We aren’t trying to drive you crazy or something. Ok, you might be thinking, “what do you expect me to do with this gibberish?”. Well, let’s proceed to the next step! To be able to use jQuery, you would need to create a webpage. First create a folder, call it jQuery Tutorial. Inside it, create an html file, called index. Create another file and name it jquery.js. Open up the file in Sublime Text (or your preferred text editor). Go back to the webpage, select and copy all. Then paste in your newly created file, jquery.js. All you have to do is save and you already have jQuery ready for use. As simple as that. Now we need to edit our index.html file in Sublime Text. Sublime Text tip: Just type in ‘html’ and hit the Tab key. A standard HTML template will be created for you. You can add the name “jQuery Tutorial” to the title tag. Now, we have the jQuery file, but our webpage doesn’t know this. What we need to do is reference it in our html file. Sublime Text tip: Type in script and hit the Tab key. A script tag will be added. We will just write a simple alert code. Open up your index file in a browser and sure enough you will see an alert pop up. To test the power of jQuery we will do something more interesting. Sublime Text tip: just type ‘lorem’ and hit the Tab key. Save and refresh your page. Did you see what happened? In the next tutorial, we will cover the things we skipped in this tutorial such as compressed and uncompressed, the different versions of jQuery, CDN and the meaning of ‘$(document).ready’ code we wrote. If you are unable to get our sample code to work, please feel free to leave a comment, I will reply as soon as possible. Hello Ifeoluwa, I am learning something new here, I can finally understand the whole idea of jquery and its amazing how you have made it so simple. Thanks, Looking forward to lesson 3. I am glad the tutorial has been of benefit to you. The next lesson will be posted very soon.